Capes on Capes! Trendsetting Tuesday comes back in the swing of things as the weather starts to get lower and chilly. 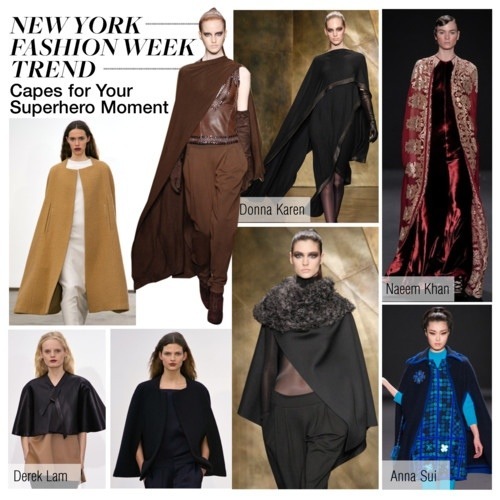 Let’s make a fashion statement with superhero style and cozy up in a fashionable cape! Seen all over Fall 2013 Fashion Week, this trend is a great way to standout and look as if you just stepped off the runway. High fashion designers love to mix and match and go all out with the overcoat. Celebs left and right have been spotted wearing their favorite version of the over-sized coat such as fashionista Lily Collins below. 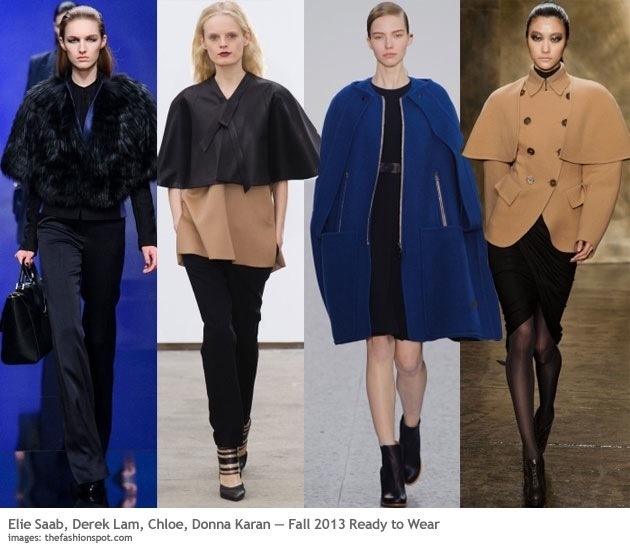 Capes make the wearer look elegant and make you feel like you have a small part in the fashion world. Dress them up with heels and a mini dress, dress it down with jeans and riding boots. I recently purchased a new black and white cape which goes perfect with almost any outfit. Already a previous fan of capes, I hold a red one in my closet as well. While mine are on the shorter side, I know I need to search for the perfect waist length cape. 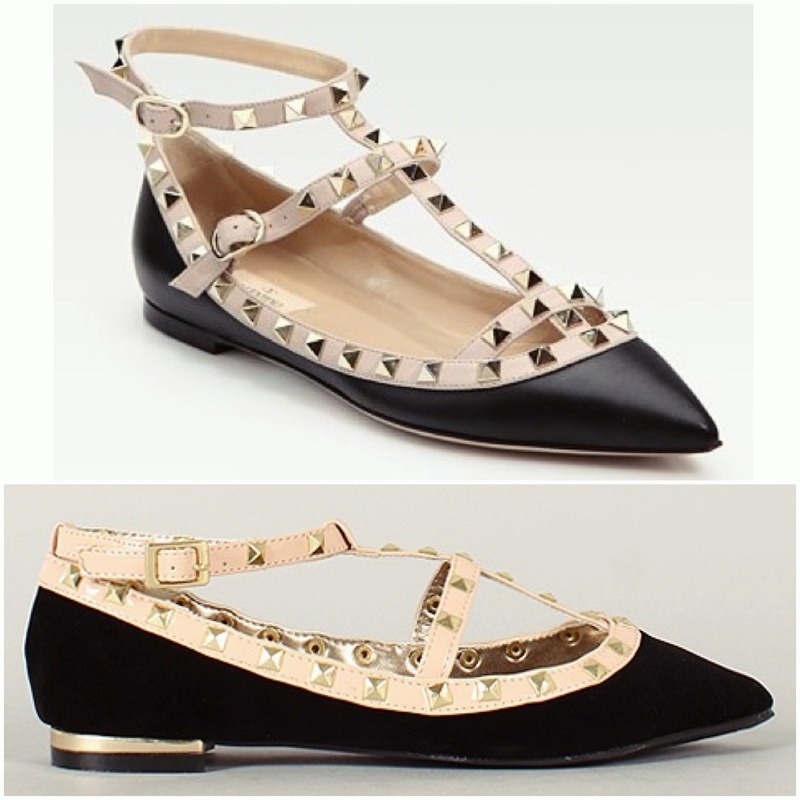 Below are exaggerated yet oh-so chic versions of the best trend around right now. Fighting the fashion world with this pullover is sure to make enemies bitter and jealous. The Oscar de la Renta one underneath is to die for! Sleek and long enough to cuddle in, perfection a la Renta!